Countertops are the main focal point in most kitchens because of their wide surface area. 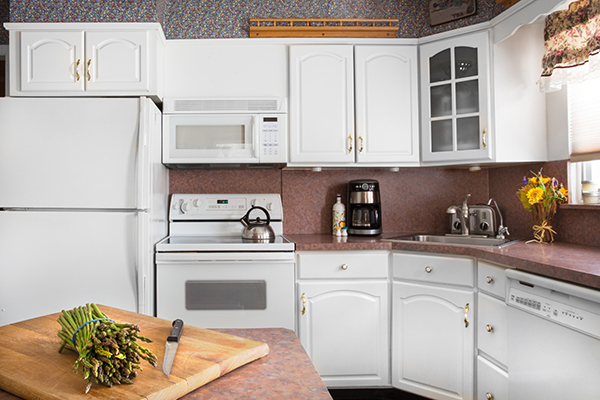 In many cases, updating outdated countertops will be among the most important on a homeowner’s home improvement list. With the wide variety of brands and materials available, Timco is prepared to help you cross your countertop project off the list! When investing in new countertops for your home, it is important to focus on functionality and durability. Kitchen cabinets are subject to extensive wear and tear, making them susceptible to damage. Timco proudly offers three major countertop brand choices to fit any budget range. Formica is perhaps the most widely used countertop material in many homes throughout the United States. This material is made from a mixture of laminate, making it available in a wide variety of colors and design options. Though Formica is one of the more affordable countertop material types, special care is needed for maintenance and cleaning. Wilsonart has been a leading provider in the countertop industry for many years. With a wide variety of material types available, including quartz and laminate, some of the material types offered will be a little more expensive. However, even with the higher price, the value is not lost when looking at durability and aesthetic qualities. Built to last forever, LG HI-MACS solid surfaces are durable enough to resist heat damage, stains and normal wear and tear. These functional and beautiful countertops have a durability rating like that of natural stone. In the event a deep scratch or surface imperfection is encountered; a certified technician can resurface the counter to achieve the original look. If you need a remodeling contractor, Timco Construction is ready to turn your vision into a reality. Whether it’s a kitchen, bathroom or additional room, Timco Construction has the tools and experience to complete your remodeling job. Give us a call at 918-779-7330 for immediate service and pricing today!